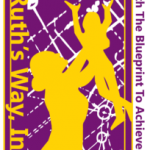 Homepage Charity Become a Ruth's Way, Inc. VOLUNTEER MENTOR! Become a Ruth’s Way, Inc. Volunteer Mentor and help our Virtuous Young Ladies to ACHIEVE THEIR MOST SUCCESSFUL FUTURE POSSIBLE! Join our phenomenal team with The Ruth’s Way, Inc. Volunteer Mentoring Program! Learn more about this awesome opportunity by clicking the link below (in blue), and SUBMIT your application TODAY! We have a vacancy for a Board of Directors member!